The Unified Interface is great for user adoption. It presents your users with the same interface regardless of how they are accessing the system, whether it be a computer, a tablet, or a phone. This means no more having to remember how to navigate two different applications. If you're not familiar with Access Teams, check out our blog that outlines them in detail. In the latest D365 release, there seems to be a little bug with Access Teams in the Unified Interface. If you attempt to add a user to the access team for a record, the add button (plus sign) is missing from the sub-grid. I'm sure this will be fixed rather quickly in an upcoming release, but what if you don't have time to wait and you need the functionality now? There is a very quick and easy workaround that includes creating 1 new field and 1 new workflow. First, create a new lookup field on your entity to lookup to the System User entity and add the field on the form. Ideally the best place to add it would be above the Access Team sub-grid and label it something like "Add User to Access Team". Next, create a Workflow Process that is triggered when a record is created and onChange of your new field. The workflow should start with a condition to check to see if the field contains data. Next, add a Perform Action step and for the Action, under Command Actions, select AddUserToRecordTeam. The entity should default to Team templates. Click on the button to Set Properties for this action step. For the first and third values you will use the options on the right to add Dynamic Values. The SystemUserId represents the new lookup field that you just created and the Record represents the Entity. For the second value, the TeamTemplateId, use the lookup to select the appropriate access team. The final step of your workflow should be an Update step to clear the value from your new lookup field. That's it! Publish your workflow and test it out! 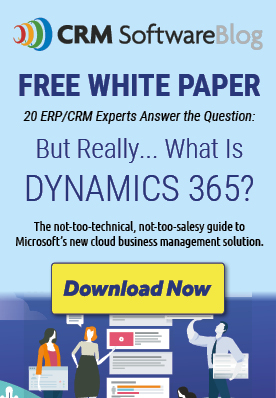 Dynamics 365 User Adoption: Why aren’t they using it?